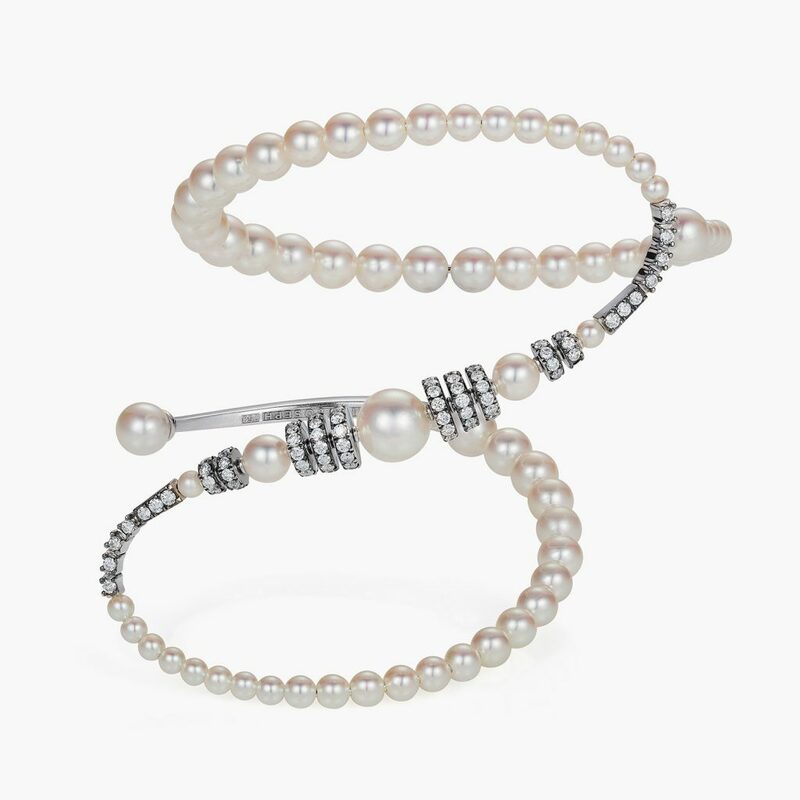 Blending timeless and contemporary elements, this bracelet features Mike Josephs signature wrap-around flexible style for comfortable fit. 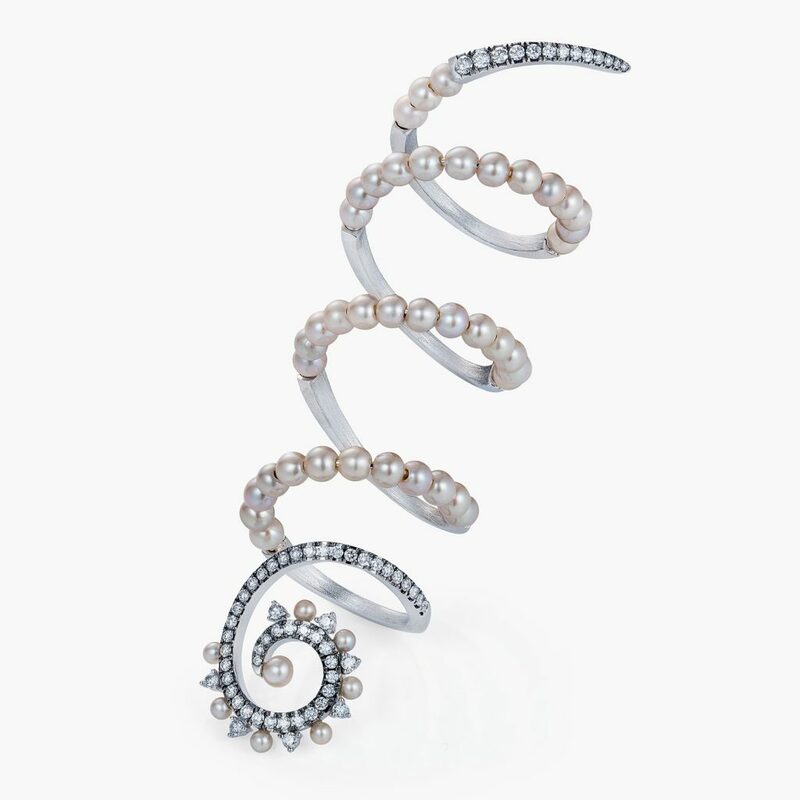 Composition: White diamonds 1.67cts & 69 white pearls. A perfect marriage of refined taste and creative design. 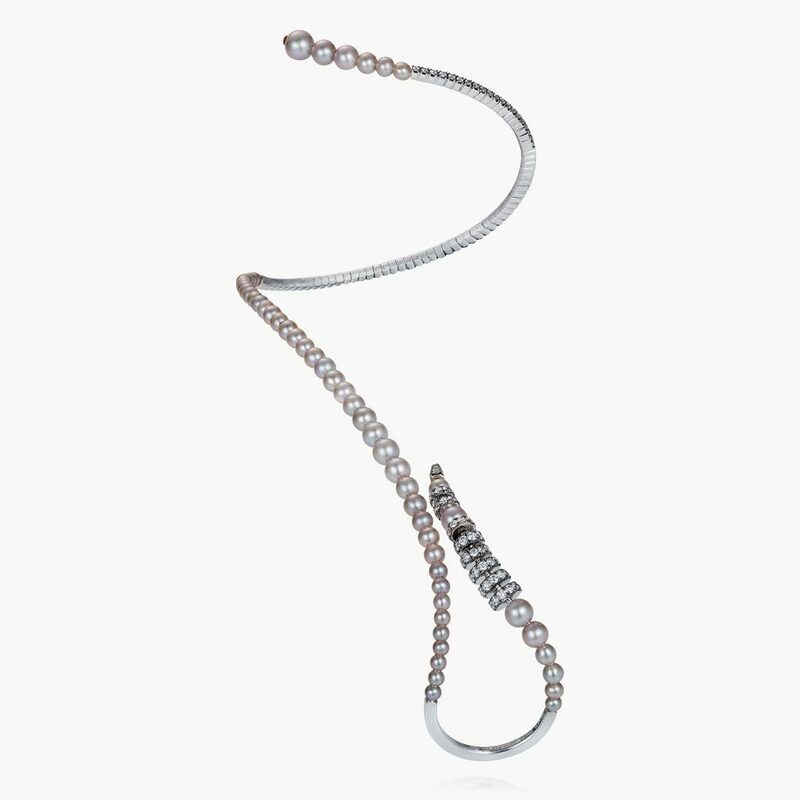 This exquisite handpiece wraps around your wrist elegantly, while white diamonds ring draws attention to your finger. 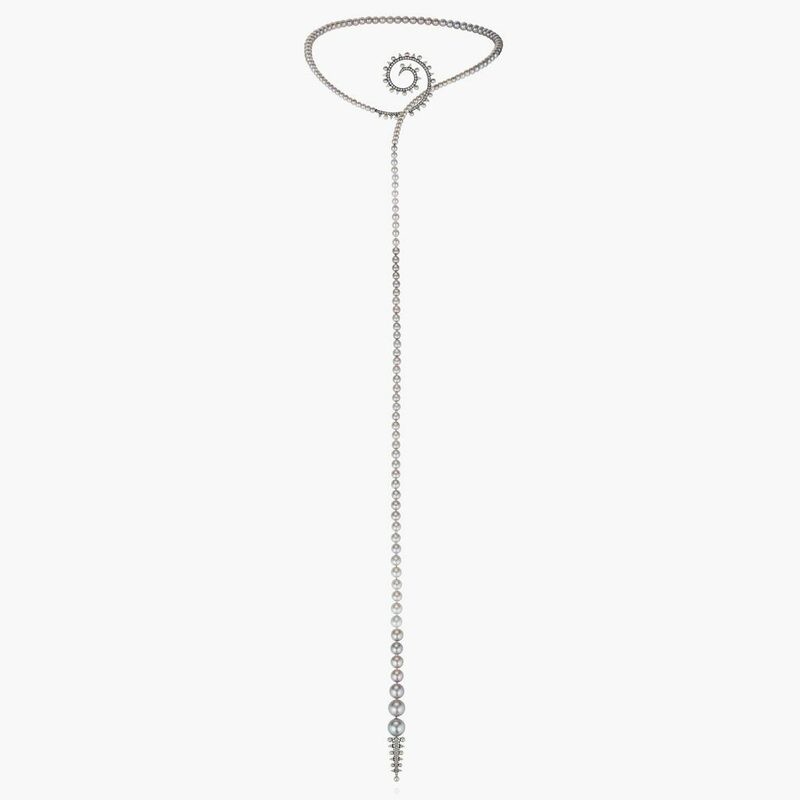 Perfect for a statement piece. 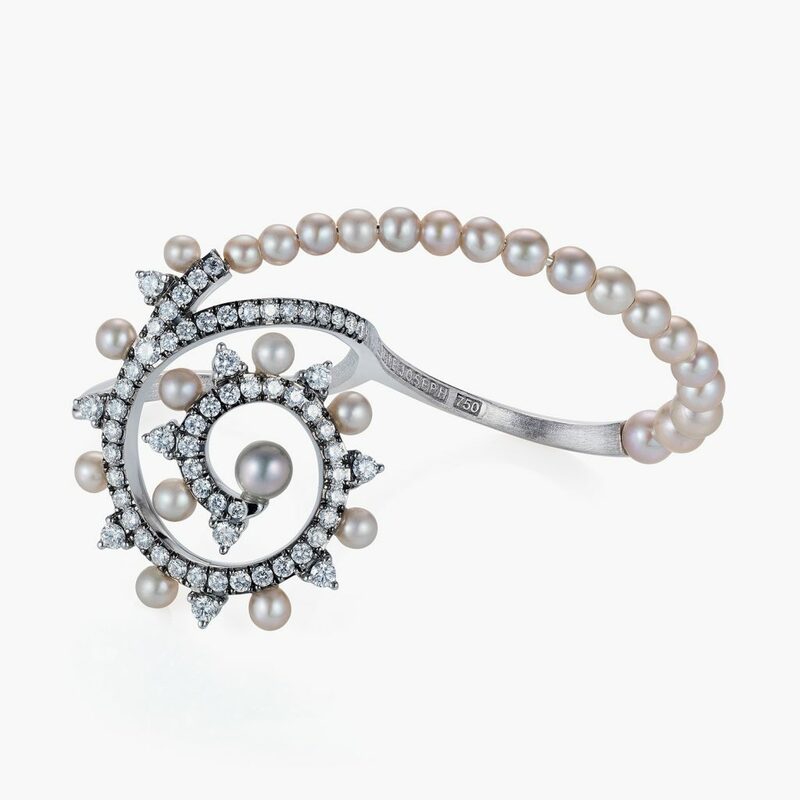 Composition: White diamonds 0.93cts & 55 white pearls. 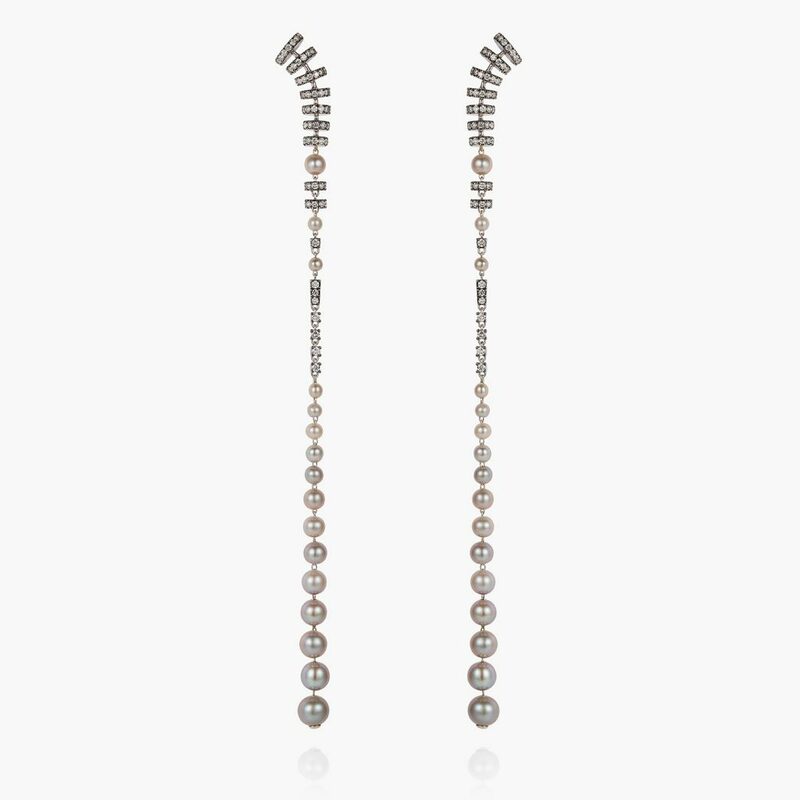 Impossibly chic, drop earring set. 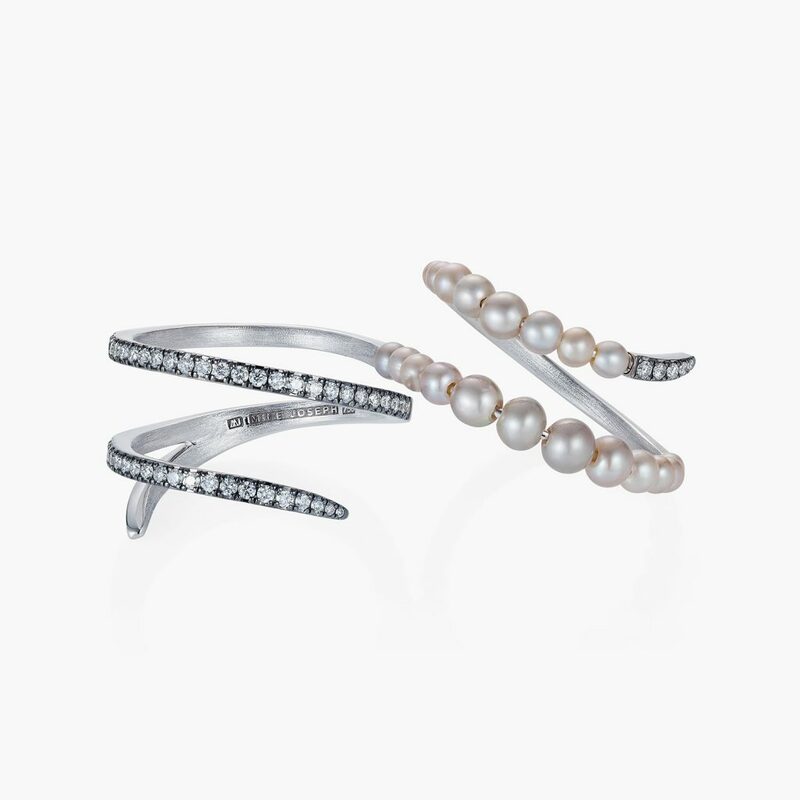 The grey pearls and white diamonds promise whispers of the night, that can’t be missed. 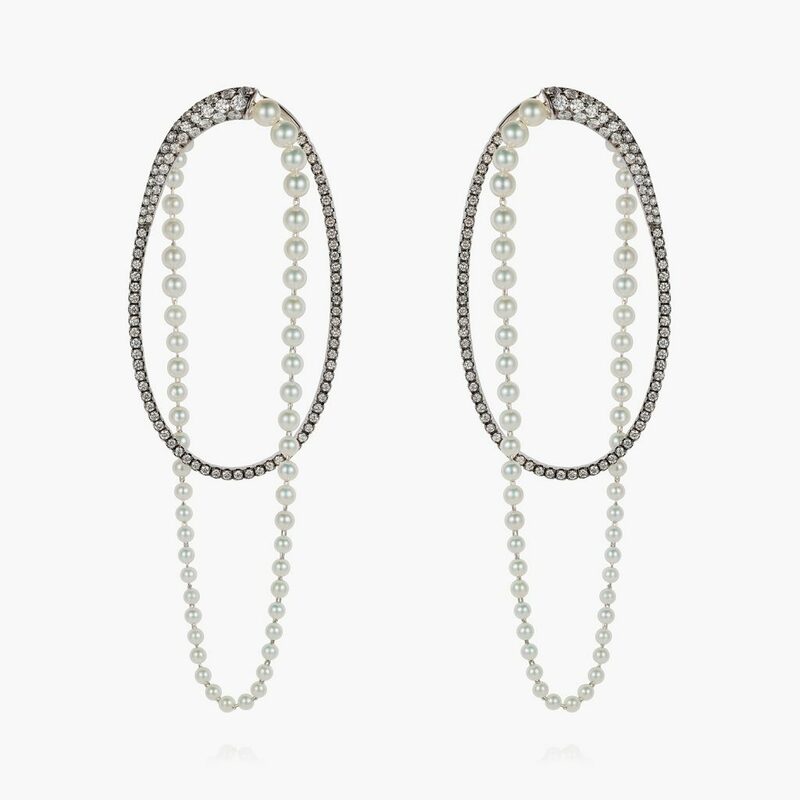 No surprise these Mike Joseph earrings are fans favorite. 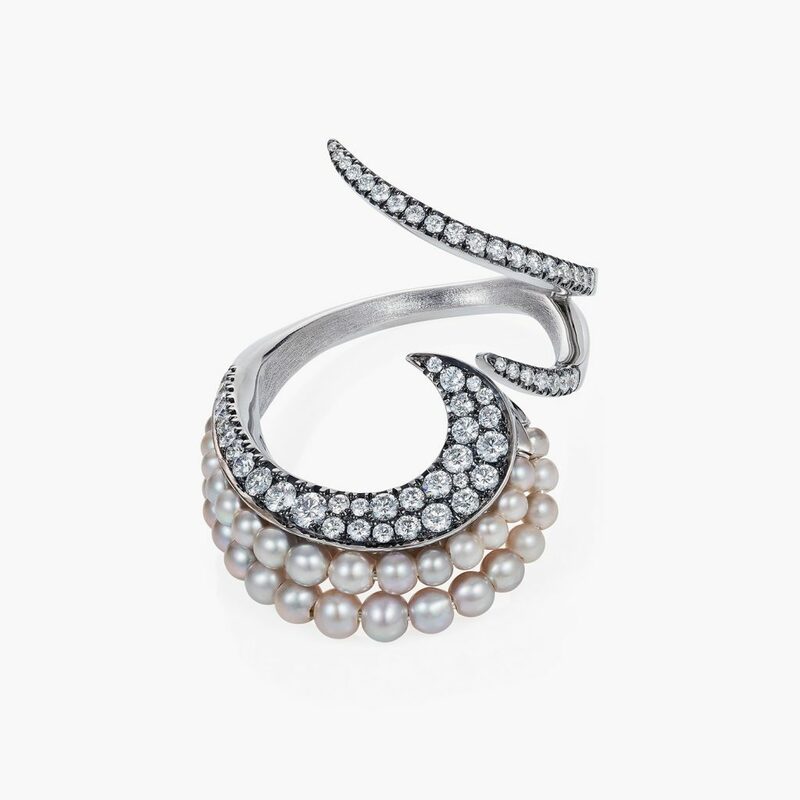 Composition: White diamonds 1.58cts & 32 grey pearls. Blending both classic and contemporary trends. 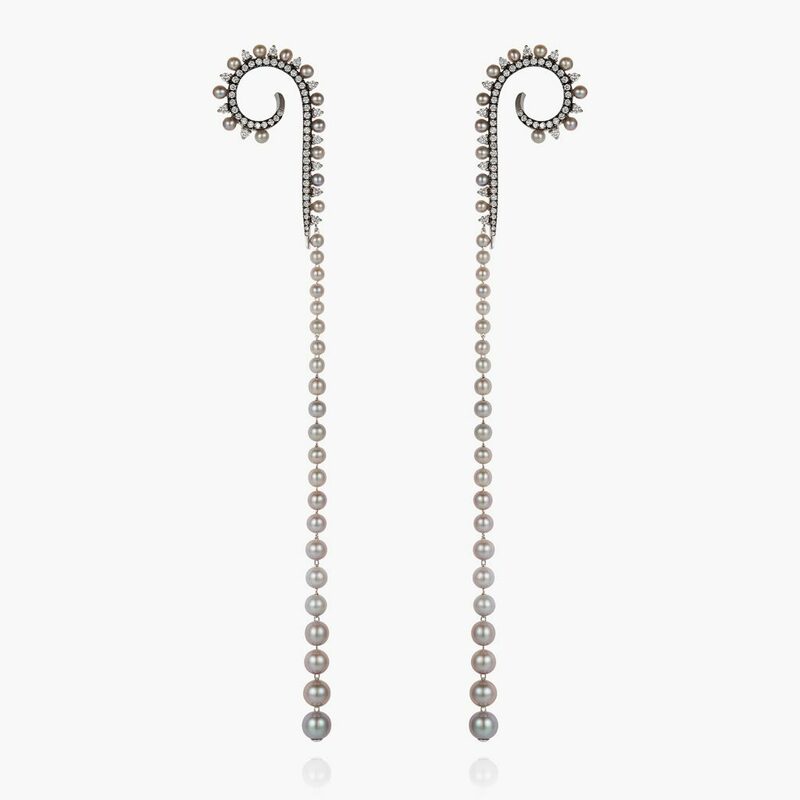 This exquisite 18k white gold earring set demands attention. 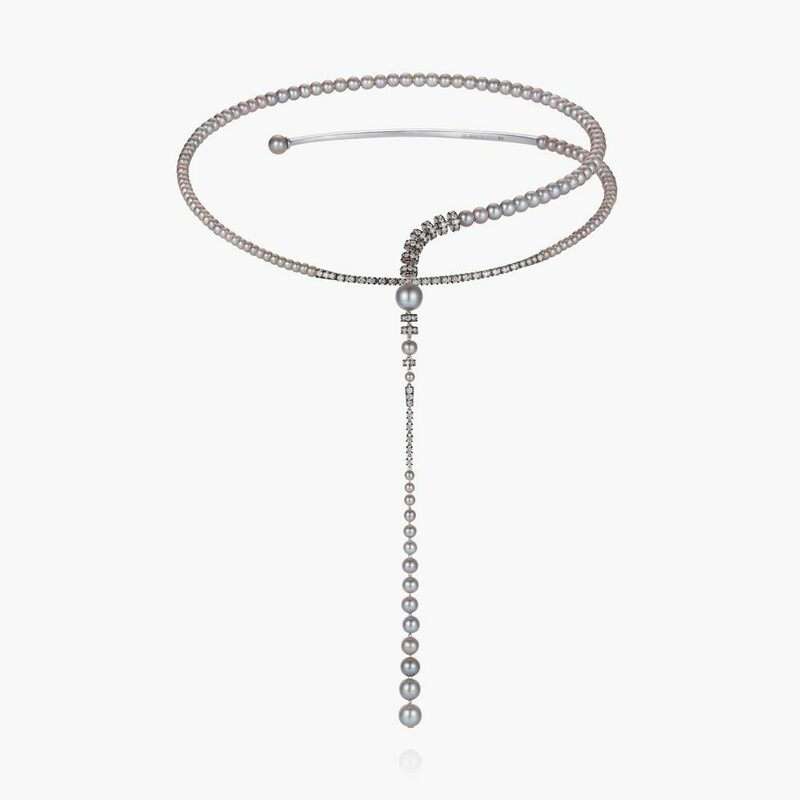 Composition: White diamonds 0.99cts & 68 grey pearls. 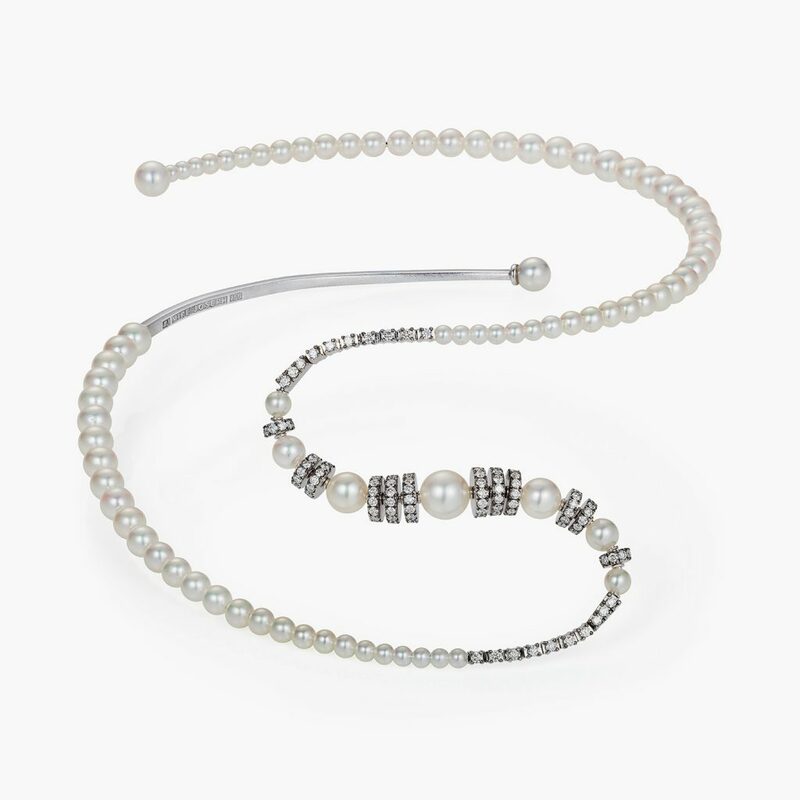 Brilliant and sophisticated 18K white gold and pearl earring set. It would be almost impossible to go unnoticed. 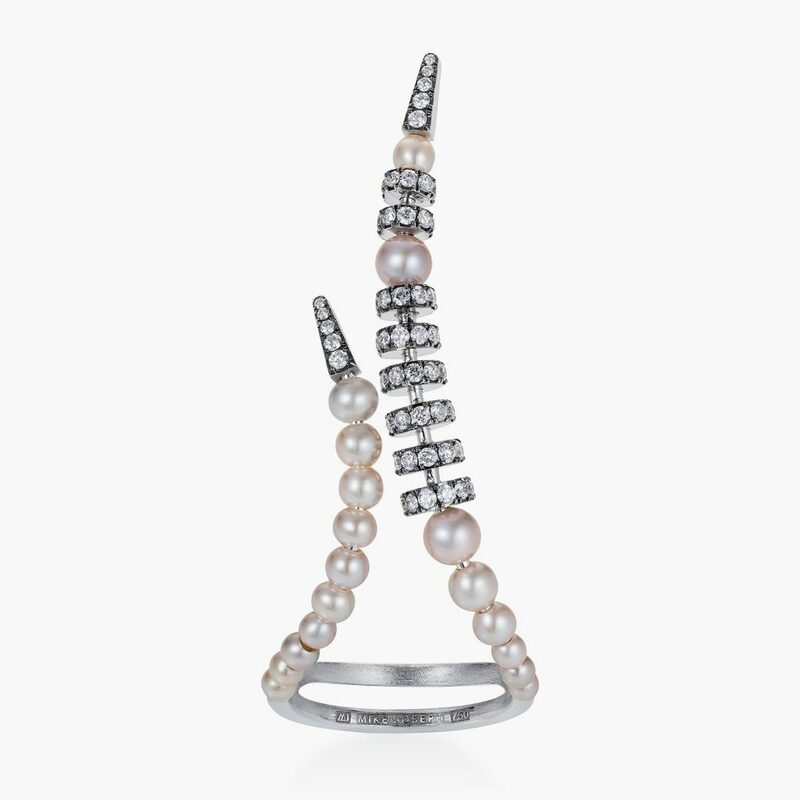 Composition: White diamonds 2.04cts & 110 white pearls.